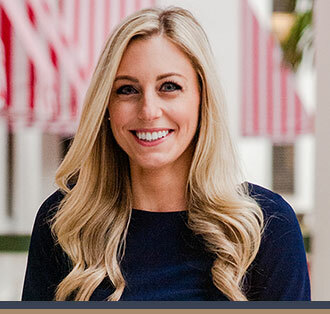 A University of Florida and Florida State graduate, Megan began her career as an attorney with the Department of Business and Professional Regulation litigating real estate issues before administrative bodies. She quickly rose through the ranks and joined the Governor’s Office, providing advice and counsel on campaign finance and local government issues. Soon after, Megan was selected to join the senior staff at the Governor’s Office where she helped direct cabinet and legislative affairs, and as Deputy Chief of Staff to Governor Rick Scott, was instrumental in shaping issues spanning from tourism and incentives to education and criminal justice. In addition to overseeing VISIT Florida, the Department of Education, the Florida Lottery, and CareerSource, Megan was involved in shaping policy as it related to the state’s gaming compact and its response to the Marjory Stoneman Douglas shooting, which culminated in the passage of legislation addressing school safety.